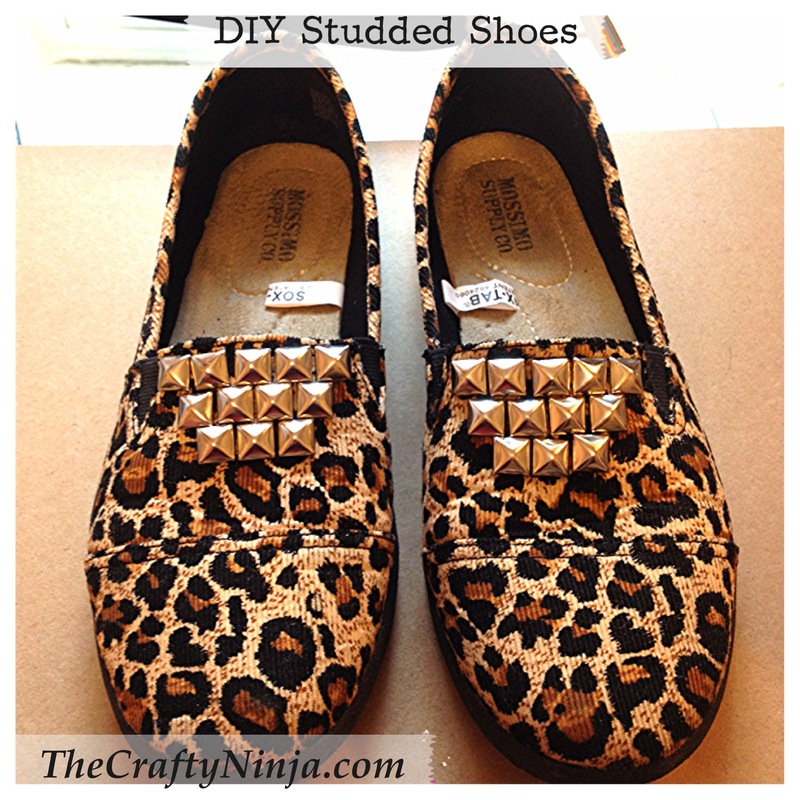 Today’s DIY tutorial is using pyramid studs, purchased here: Pyramid Spots Studs, to embellish plain shoes. I purchased my leopard slip on shoes at Target and wanted to add a bit of flash. The current trend is studs on everything and is a big fashion trend in jewelry, clothing apparel, and shoes. Check out my other tutorial: DIY Studded Denim Shorts. 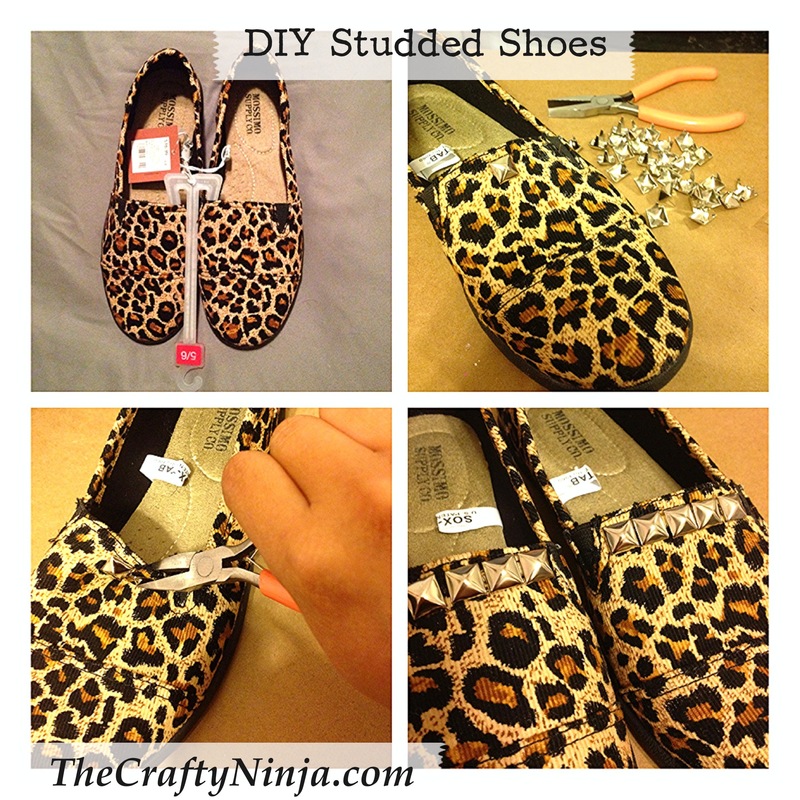 To create this look I used Pyramid Spots Studs and Pliers. For the top row I started from the center and added five Studs. The second row I went in between and added four Studs. The third row I again started from the center and added three Studs in between. To put in the studs you have to push down firmly to pierce the fabric then used the pliers to clamp the two ends down on the inside.